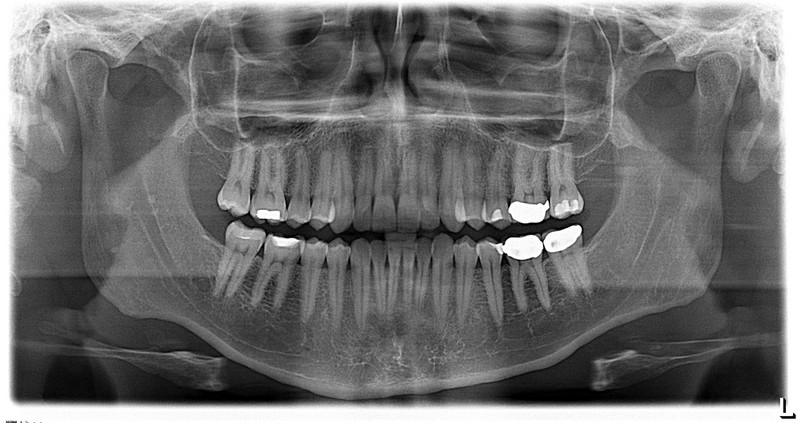 A panorex allows us to identify many issues and structures that a normal x-ray is not. Once positioned in the machine, it will rotate around your entire head taking a full 360 degree view of the teeth, head, sinuses and bones. The ability to view the full structure of your head as a whole is very informative to us. It will allow us to see any potential problems and make sure that everything is functioning as it should be. The panorex is capable of viewing specific types of structural problems, infections, asymmetry and identify bone cancers among many other things. Because our panorex is fully digital, we deliver the lowest amount of radiation possible while still enabling us to obtain the imaging we need to provide you with the highest quality of care.